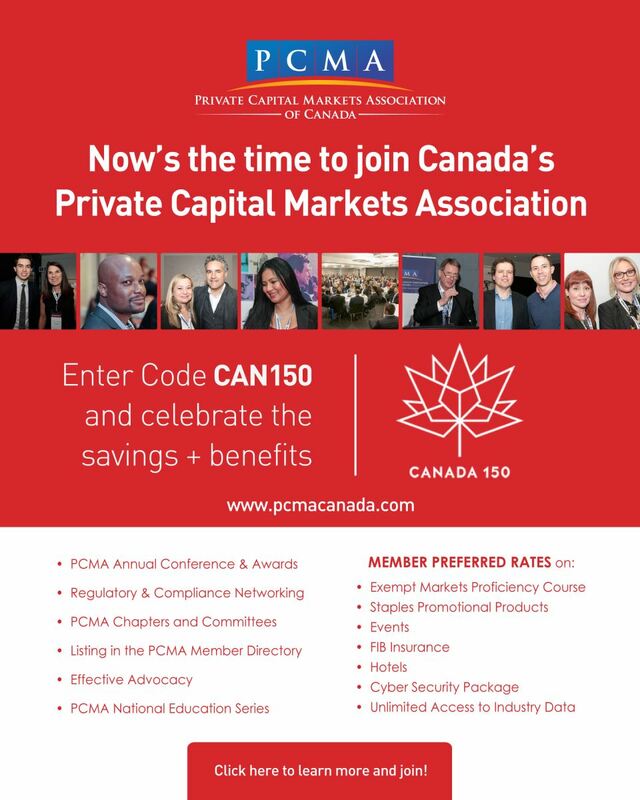 There is no better time than now to join Canada’s Private Capital Markets Association (PCMA). In celebration of Canada’s 150th birthday, PCMA is offering a 15% membership promo. Membership in the PCMA means contributing to a strong national voice for the private capital markets/exempt market professionals. This promo will end on December 31.